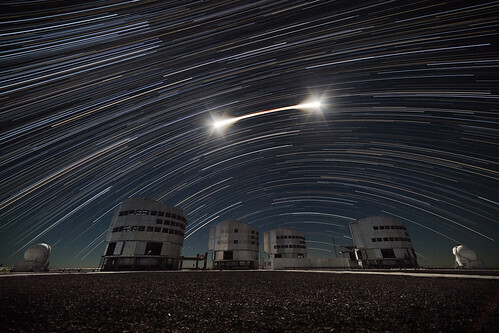 Lunar Eclipse through the Cancer Star Field. Photo taken from Cloudland Canyon, Georgia, taken during totality. 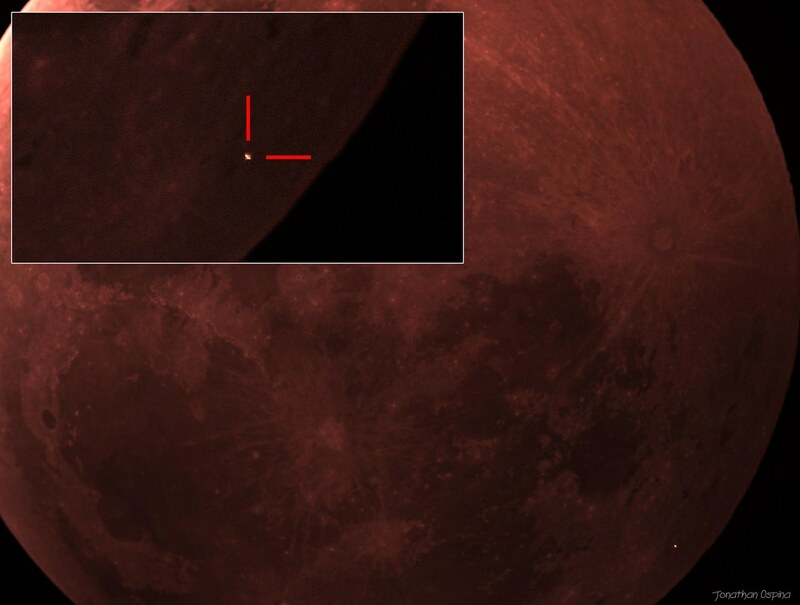 Single photo from a DSLR Camera on a German Equatorial Mount. Cameras, Binoculars, Dobs, Cats, and Refractors. Whatever it takes! One day after the first Lunar Eclipse of the year, the still-almost-full Moon surrounded by a wonderful halo was passing the meridian shortly after midnight. This photo was taken by standing on the middle of Margaret Bridge. Facing south the banks of river Danube (UNESCO World Heritage Site) is visible with the Hungarian Parliament, the Castle of Buda and the Gellért Hill. Last edited by sebasmc_f on Thu Jan 24, 2019 1:22 am, edited 2 times in total. Last edited by sebasmc_f on Thu Jan 24, 2019 1:43 am, edited 1 time in total. 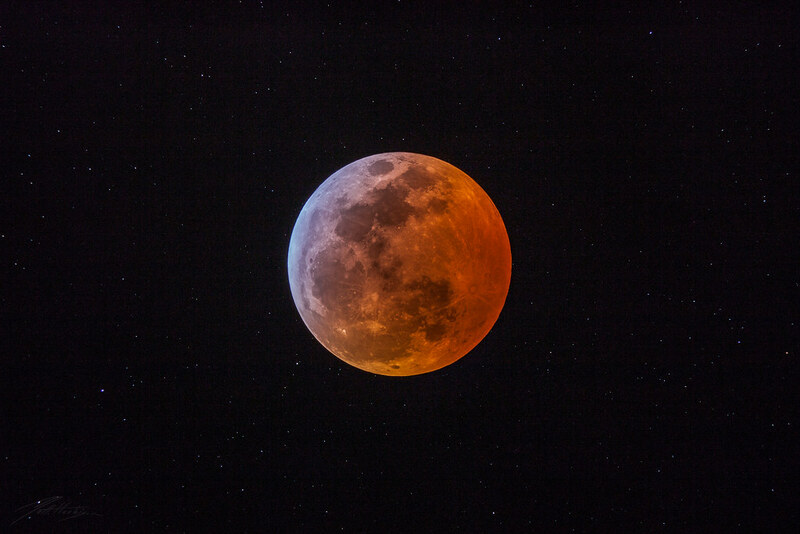 Moon eclipse captured from Colle di San Giovanni, Cn, Italy. Canon EOS 6D, Tamron 24-70 f/2.8, separate shot for the Moon. 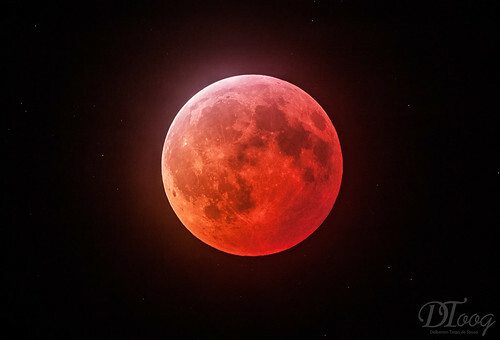 In spite of the maximum atmospheric conditions, the impact event was observed in one of the photograms of several dozens of images that he managed to capture. Last edited by vjom83 on Wed Jan 23, 2019 5:21 pm, edited 1 time in total. 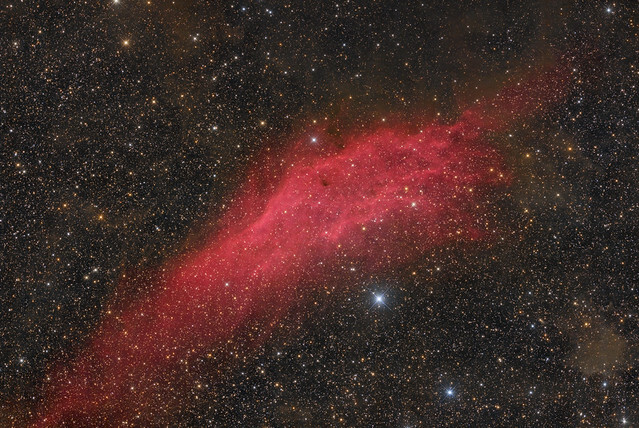 This mosaic shows sections of 2 main Nebula in the Mandel-Wilson Catalogue, the Volcano Nebula (MW3 near Messier 81/82) and the Angel Nebula MW2. 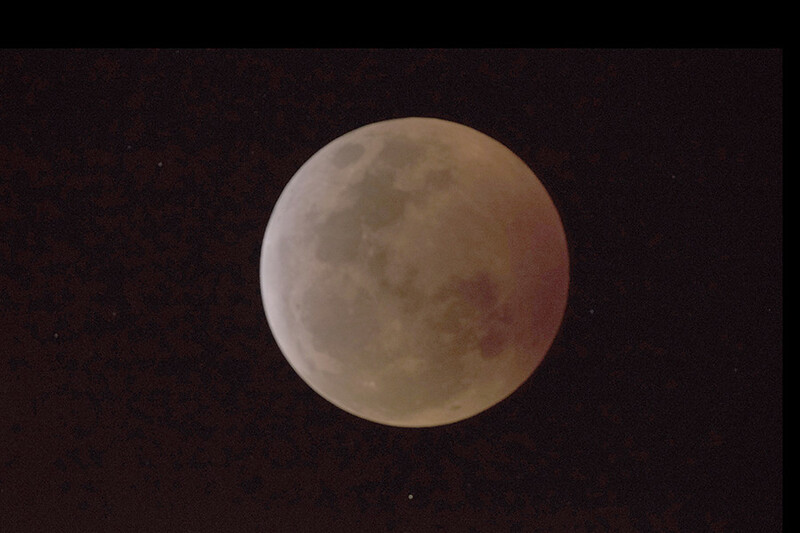 I managed to capture this phenomenon from my garden late night, when this frosty day began with the total lunar eclipse at dawn observing from Hungary. It was a good day! Last edited by Hermann von Eiff on Wed Jan 23, 2019 7:19 pm, edited 1 time in total. 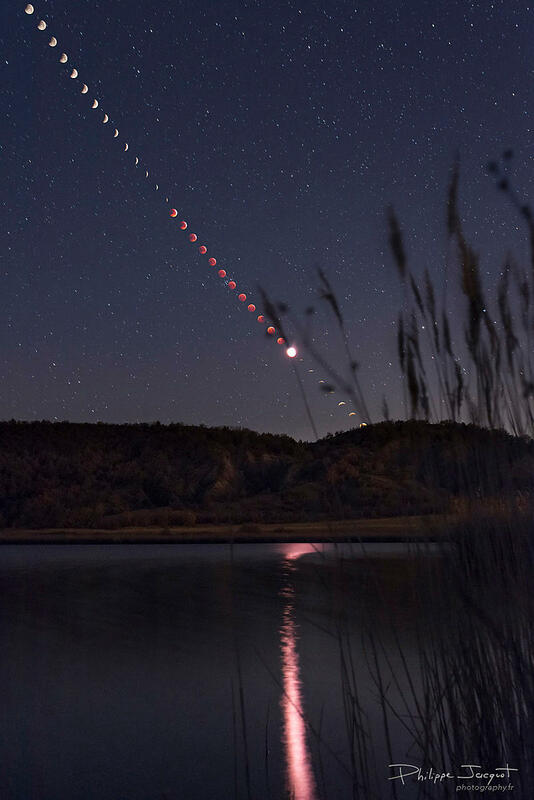 This is a multiple exposure of the Total lunar eclipse in France. I choose a 30s exposure, juste before the end of totality, to shoot the background of the spot. Like that, I could have the colorful reflection of the eclipse in the lake. Last edited by bystander on Wed Jan 23, 2019 6:24 pm, edited 1 time in total. 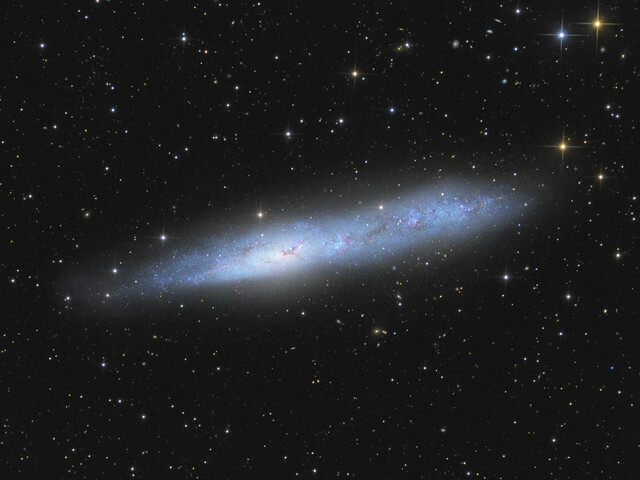 NGC 1055 is an edge-on spiral galaxy located in the constellation Cetus. It has a percular dark lane of dust and gas that appears to be elevated above the galaxy's plane, almost blending away from the central plane. If you look carefully, several bright Ha areas can be easily seen. The galaxy is fairly small in my instrument as it is only has an apparent size of 7'.6 × 2'.7 arc min. 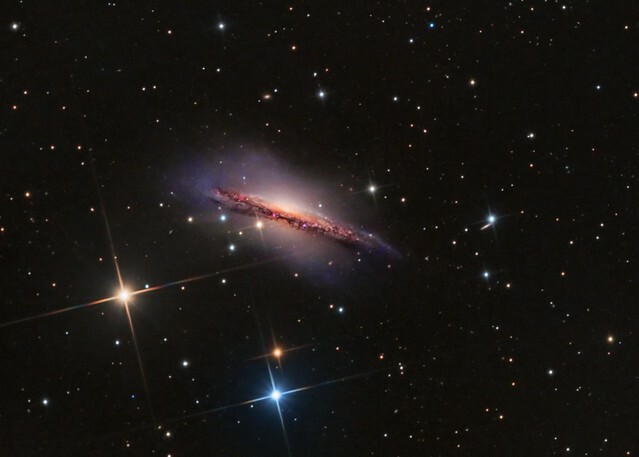 NGC 155 is 52 million light years away, and has a diameter of about 115,800 light years across. 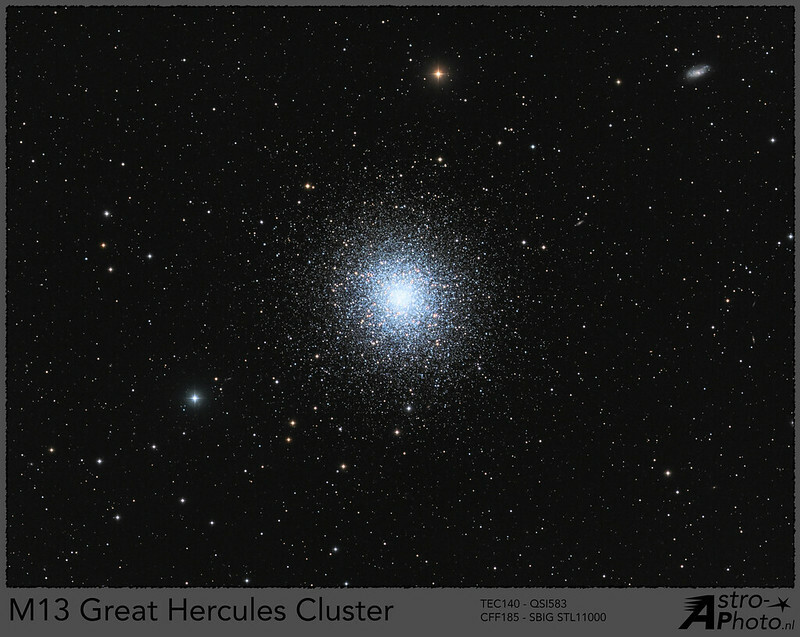 The apparent size is 7.6 X 2.7 arc min with an apparent magnitude of 11.4. It’s a fairly dramatic looking galaxy with an incredible glow around it. After traveling several hours a road that took me further away from everything, I decided to stop to take nighttime photographs. 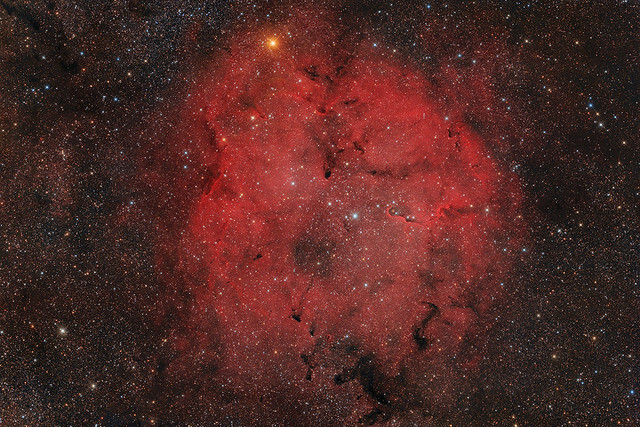 It was impossible not to try to take some photographs with a less panoramic lens and this was one of the results, where several nebulae and globular clusters are seen, a true portrait of the galactic center. Nikon d810 + Sigma 135mm f / 1.8 art. "This dramatic image shows the Bubble Nebula in the constellation of Cassiopeia. It is a windblown bubble caused by the stellar activity of an O-type star, which is the white star that can be seen above and to the left of the centre of the bubble. 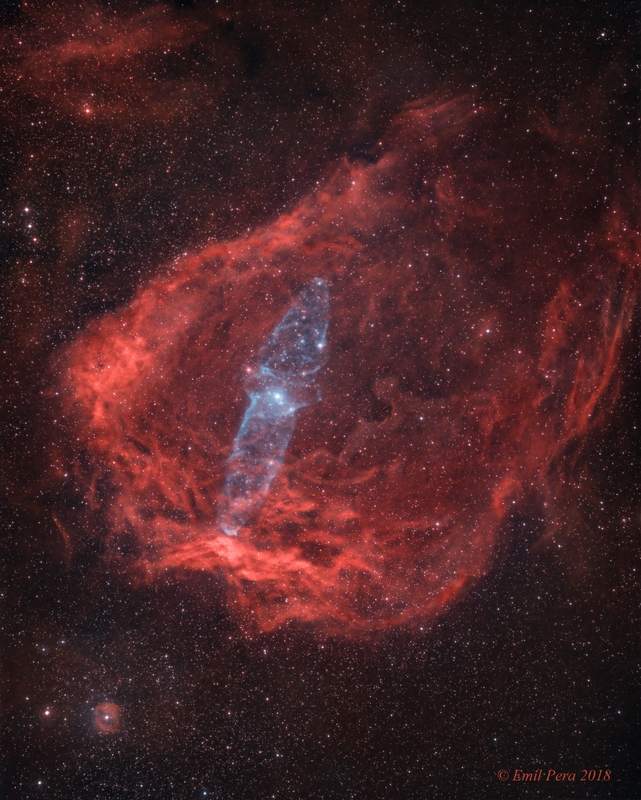 Images such as this one that isolate the specific light of oxygen and hydrogen gas with specialized Ha and OIII filters render this cosmic scene in exquisite detail. 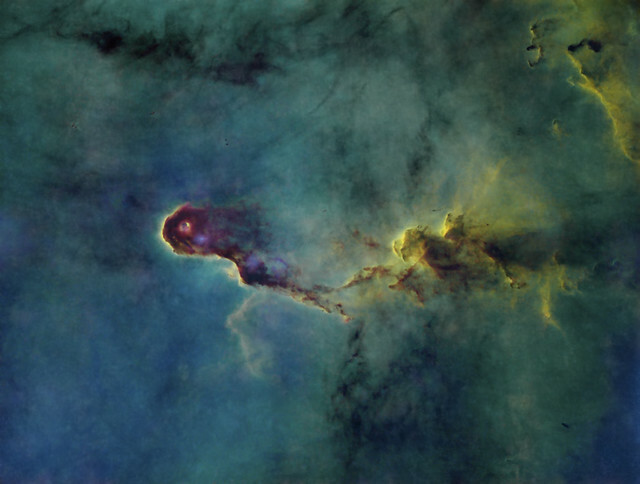 A second false color image further accentuates the chemistry of this region with the colors of the narrowband filters mapped according to a scheme known as the Hubble palette, named after the space telescope, which first utilized this approach in the 1990's. The bubble has a size of 7 light years and is embedded in the emission nebula Sh2-162 at a distance of about 7000 light years." 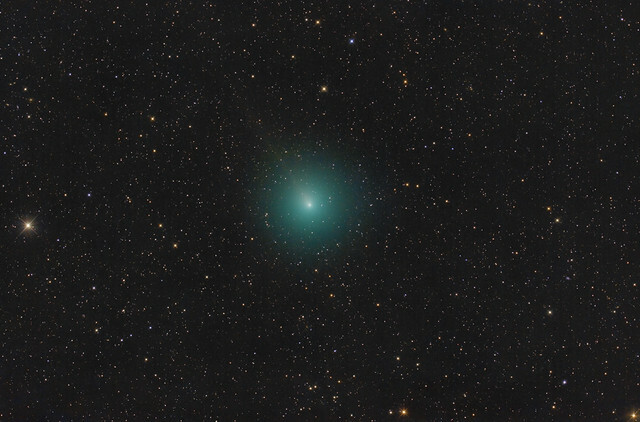 Taken with a PlaneWave CDK 700 with exposure times as follows: Lum-180min, Red-120min, Green-180min, Blue-180min, S2-290min, O3-250min, HA-240min. Total of 780 min or 13 hours. 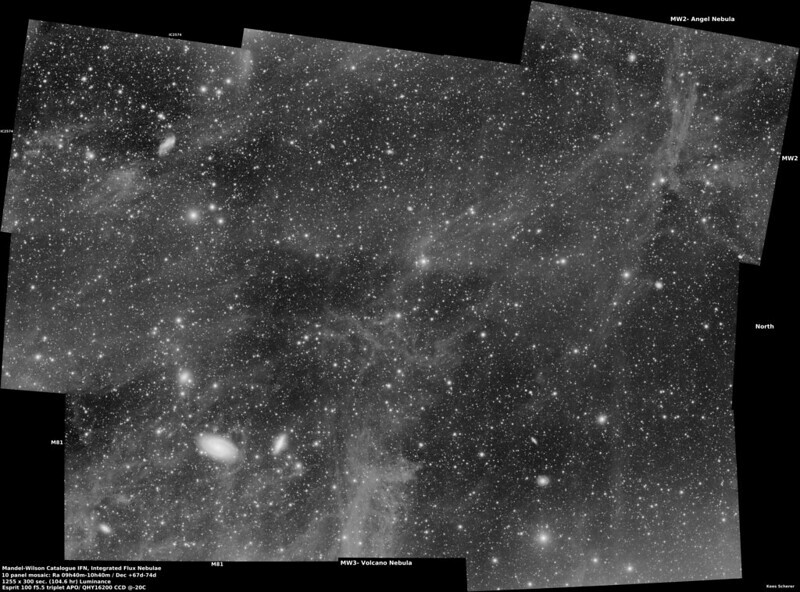 The first image is LRGB with HA and O3 added, the second image is a Hubble palette color map version, with RGB stars. That's a great picture, but I couldn't see the full size size version because I had to sign in to see it, and I don't have a password! This a little short film I've been planning since 2015 when I shot my second total Lunar eclipse. This third time I wanted to do something different and decided to mix time-lapse with video. I used 3 cameras and shot from sunset to sunrise. https://www.astrobin.com/full/387385/0/… can click on full resolution and see all the extended details. One day after the eclipse, I leave here my contribution of January 22, 2019. 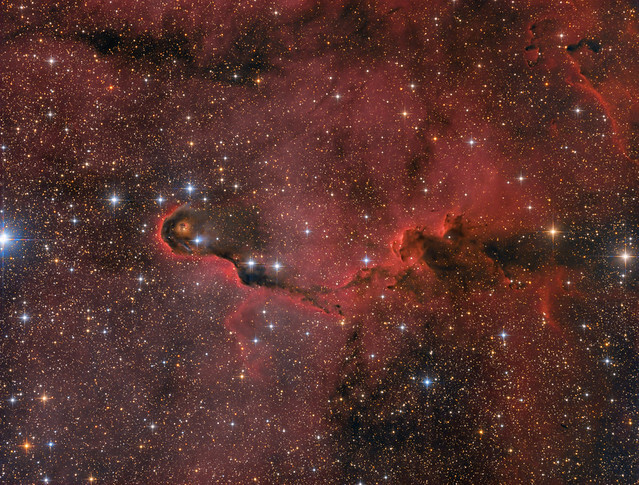 I have imaged very dim nebulas, like Cocoon and Eagle Head, but I have never seen a nebula which is invisible in 30' subs... 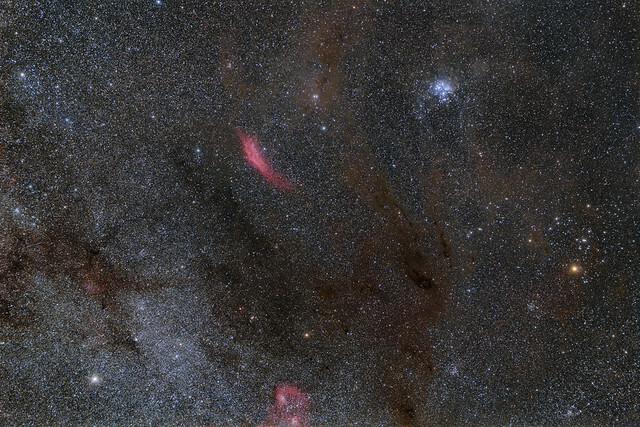 The first glimpse of Outters 4 nebula are seen after 5 hours of integration. The Ha nebula is a little brighter, but not as bright as expected so I found that showing details of it was never going to be easy. Total exposure time is 50 hours.